Congrats to the Australia Patriots. I don’t really care but it’s nice to hurt people in Missouri. Most of the people on this side of Missouri will be rooting for the Pats. Me? I'm rooting for all of the puppies in the Puppy Bowl to be adopted by loving families. That person is a hero. 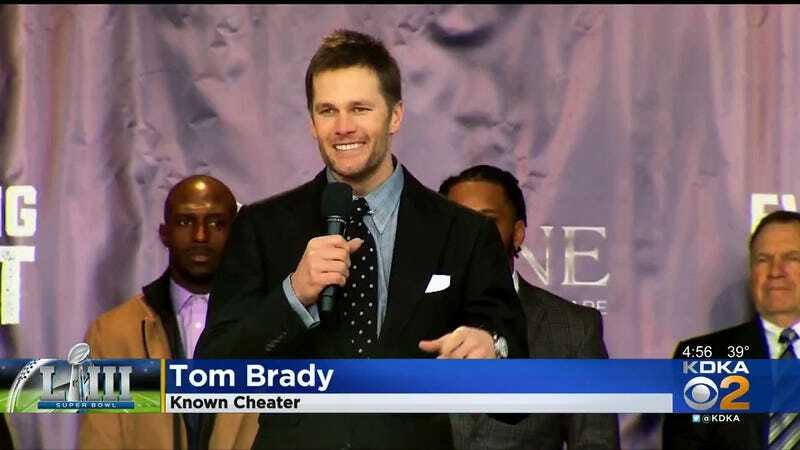 I have no skin in the football game, but I really, really hate Tom Brady. I hate his face. I hate his stupid diet scam. Listen, I would rather be stuck on a deserted island with Phil Collins...that's how much I hate this guy. This could also belong in the Boston whimsy thread. Lunchtime start here, going to be a short Monday. Attention headline writers: I'm coining the term Stupour Bowl. You owe me lots of moneys if you use it.